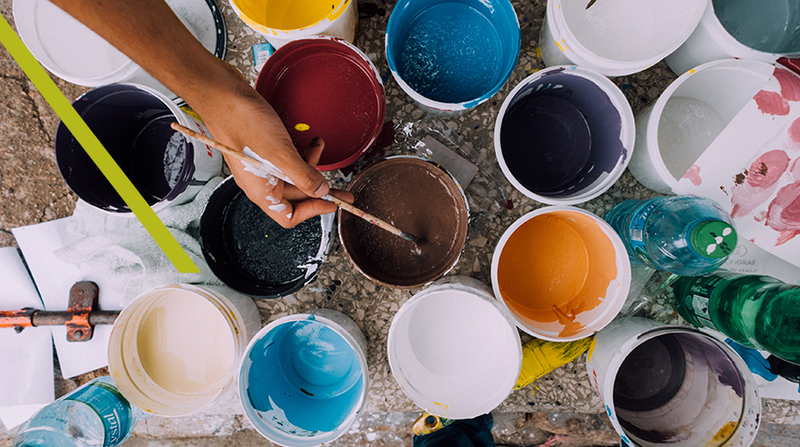 Briefing – it’s the glue that holds the creative delivery process together. Whether the output is a simple blog or a 10-asset nurture, the brief is designed to impart the creative with everything they need to do a fantastic job. But, this is easier said than done. What is really required in a ‘good’ brief? What do creatives ‘need’ to know to smash it out of the park? It’s a tricky question, and after seeing the challenges of briefing from both the strategic and delivery side, I find the biggest piece of the puzzle still missing is context. Now by context, I merely mean an understanding of the output’s purpose in relation to the overall campaign or project. It’s all very good telling a copywriter you need an email written for a campaign aimed at a particular audience with subject-focused messaging. But, without an understanding of what role that email will play in the bigger picture, it can be difficult for the creative to produce an asset that makes the most of the opportunity. Does the email sit in a single nurture or is it part of multiple nurtures? Does it sit in a 5-asset campaign or a 50-asset campaign? What is the audience criteria to receive the email? Has the audience previously engaged with content that has qualified them? All these questions bring pieces of the puzzle together that can make a significant difference to what the optimal output looks like. When briefs are put together, it feels like there’s often a strictly ‘need to know’ approach taken, which restricts the information creatives receive. Now I’m not saying they should get reams and reams of data around every project, but certainly enough to understand where the asset sits in context to everything else. As a copywriter, the best briefs allowed me to put my feet in the shoes of the reader, understand who they were, what they’d done in their buyer journey so far, what they were expecting from the content and ultimately, what they were trying to accomplish. If a brief helped me successfully piece together the person on the other side of the screen/page then I was able to ensure every word was written for their specific needs, irrespective of format. For me, that is the perfect brief. Unfortunately, these kinds of briefs are a rarity, information gaps are a common issue and now sitting on the other side of the fence in strategy, I see why. Writing a comprehensive brief is hard! Just when you think you have everything covered, something else unexpected jumps out of nowhere – getting the hard facts on paper is much more difficult than it first appears. However, despite these challenges, I still try to convey to the creative the context of the job as a priority, whether it’s the design of a single image or the creation of an entire e-book. The example below provides a contrast to just how much more valuable a brief with context can be. Scenario – A Copywriter has been asked to write an email driving prospects from a target database to a product demo. The copywriter is requested to write an email that drives prospects from a target database to a product demo. In this brief, the copywriter is given information on who is targeted within the database and what the product demo covers with recommendations on key points to include. The copywriter is given the information in Brief 1, as well as insight into the previous email the prospect received and further detail on the other assets driving to the product demo. This provides critical context that allows for a better understanding of what the email is designed to do, where it sits in the buyer journey and what it should include as a result. With this information, the creative is empowered to ask further questions that help them control how much or little information they have their disposal. 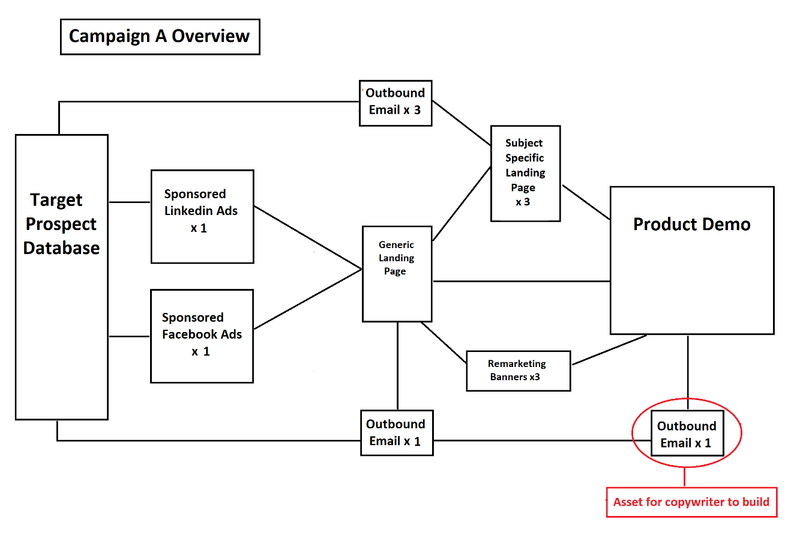 In addition, they are provided with a diagram offering a contextual snapshot of the entire campaign and the role of the email in the bigger picture. From the example above, it’s clear the better output will come from the 2nd brief as the context is clearly communicated to the creative, allowing them to make more educated decisions. The best briefs help creatives connect with the objective of the wider campaign, the target audience and the role of the output in question. With full clarity on each of these pieces of the puzzle, they have everything they need to do the job to the best of their capabilities. When it comes to creative briefing, context really can make all the difference.